Note: The manufacturer will drop ship this item direct to you. Freight in cart may not reflect true cost. After we receive your order, we will contact you with the proper freight cost. Delta ABS Plastic sinks are super tough. Compact one-piece construction fits where other can't. Ribbed bottom for rapid draining. Thermoformed from black 1/4" ABS. 10 year limited warranty. 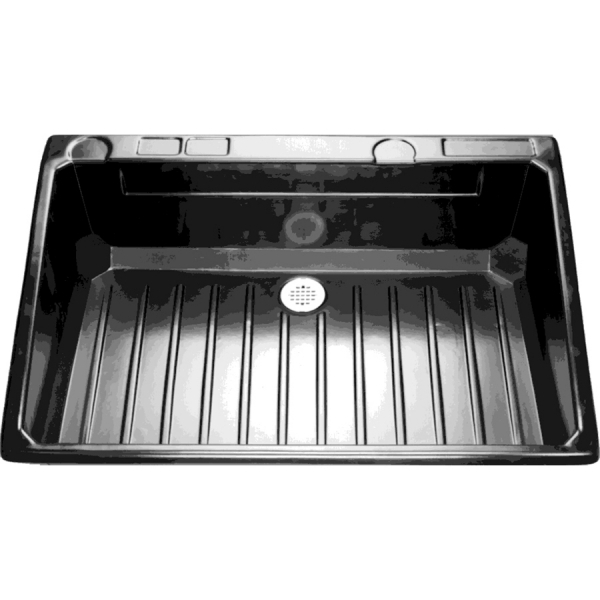 The Sink II has a back splash and side splash guards. 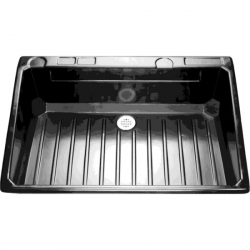 *This Sink is Sloped to provide splash guards, the front end depth is 4.75 in. 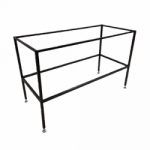 and has sloping sides up to the 12.5 in. deep backsplash.